This is a quick slide show of what we will cover. Please follow the links below for more detailed instructions. Please don't use this page to ask questions go to the contact us page. 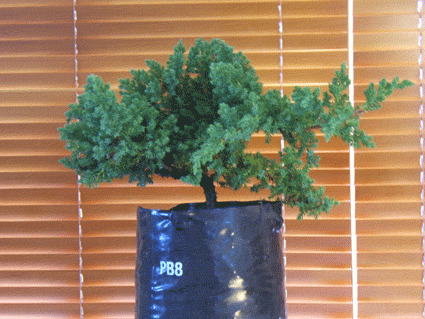 This is for you to display your new bonsai and keep an online picture of its creation. please give us a discription and the type of tree used if you know. If you have any problem click on the question marks for help. this tree growth in north of iran, mazandaran. just have 5 years old. I helped my youngest son make this Juniper Bonsai about 1 month ago. Quite a lot of fun. One of our favorites. it is about 3 years,6months ago I repott it on bonsai plate.so have a look on my bonsai and give me some suggetion.thanking you. Poonam hossain. A two year old Ficus, slanted style root over the rock.